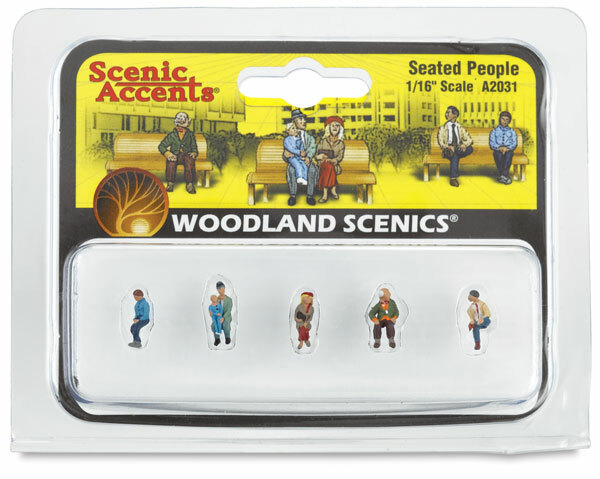 Add authenticity to your layout or diorama with Woodland Scenics trees, foliage, water, figures, and more. Available in a variety of sizes, colors, and formats, these realistic scenery pieces have been designed to meet the specialized needs of architectural modelers, as well as students of architecture, landscaping, and interior design. Figures — Designed to meet the specialized needs of professional and student modelers, these 1/16", 1/8", and 1/4" scale figures are posed in various standing, sitting, and walking positions. 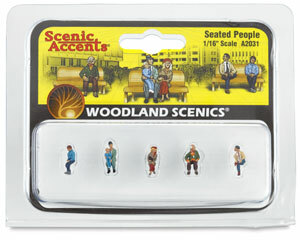 ® Woodland Scenics is a registered trademark.